WPIX-TV made quite an a… — err, shall we say fool — of itself yesterday with a lower third error. The station was, along with the other New York City stations, covering a scaffolding collapse at the Hearst Tower in Manhattan when it aired the graphic above. 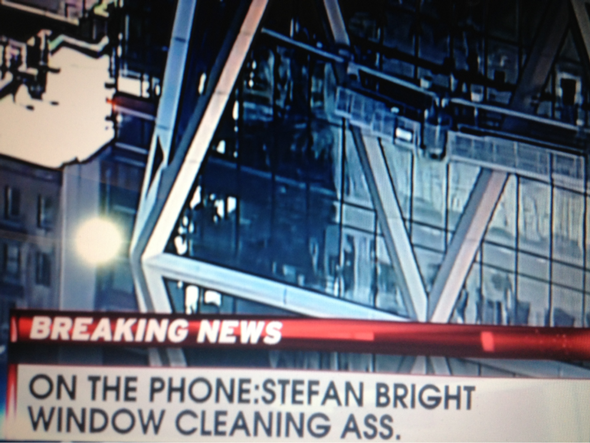 The station managed to track down a window cleaning assistant named Stefan Bright. But someone decided to abbreviate “assistant” — with embarrassing results.